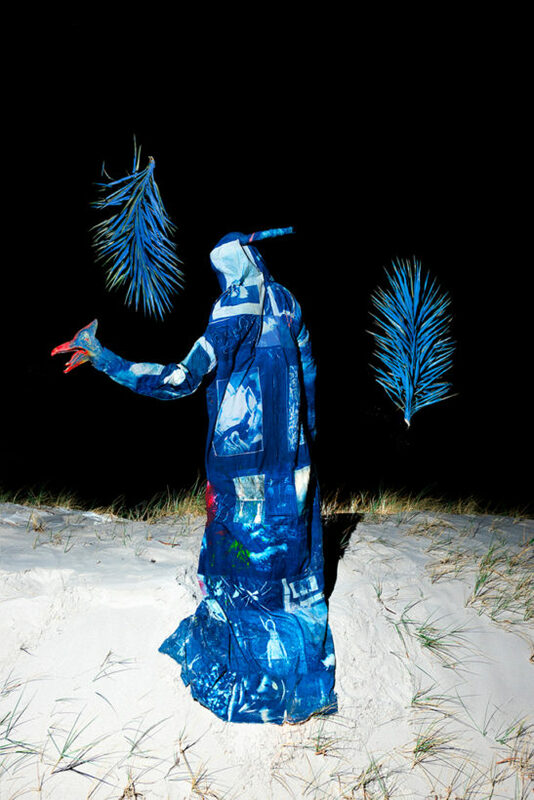 Hugo Michell Gallery invites you to the opening of Lisa Roet’s ‘Moment In Time’ and Emmaline Zanelli’s ‘Looks Like A Fish, Tastes Like A Lizard’. For over two decades Lisa Roet has won acclaim in Australia and internationally for her powerful investigations into the complex interface between humans and our simian relatives. Bathing Snow Monkeys (Japanese Macaque) have been cited in recent scientific journals for exhibiting learned evolutionary behaviour. Bathing for these monkeys only began after observing humans in man made pools at a resort in the 1960s. 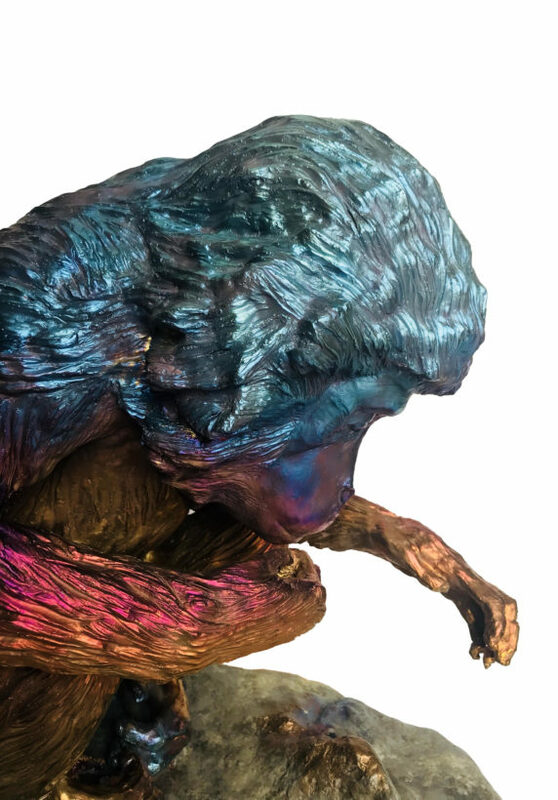 Roet’s sculptures depict a glowing surface, achieved though a complex heating process, mimicking the effect that the hot springs have on the colour of the monkeys faces. For Roet, these works represent a fleeting moment in time, where a touch and a movement communicates the shared human condition. Emmaline Zanelli’s ‘Looks Like A Fish, Tastes Like A Lizard’ examines the research of prehistoric life performed by a domestic paleontology enthusiast. The artist uses collected stories of scientific experiments conducted in the paleontology lab and animation studio as inspiration for scenes of backyard research: a polystyrene microscope ready for printed live blood cells; an Ichthyosaur built of papier-mâché National Geographic images swimming above the piano; a character using a stock photo elephant to imagine the gait of a sauropod; plasticine bones in a vinyl creek bed waiting for scanning to become animated. These are latent experiments independent of any employer or institution. Processes used in professional environments to imagine and decipher life before humans are referenced and used throughout the work, melded with home-invented methods. ‘Looks Like a Fish, Tastes Like a Lizard’ depicts the effects that images have on our collective perception of nature, and the – at times ridiculous – human endeavour to understand and recreate it. Please join us on Thursday May 3 to celebrate these two incredible exhibitions.